Can heaven be private? 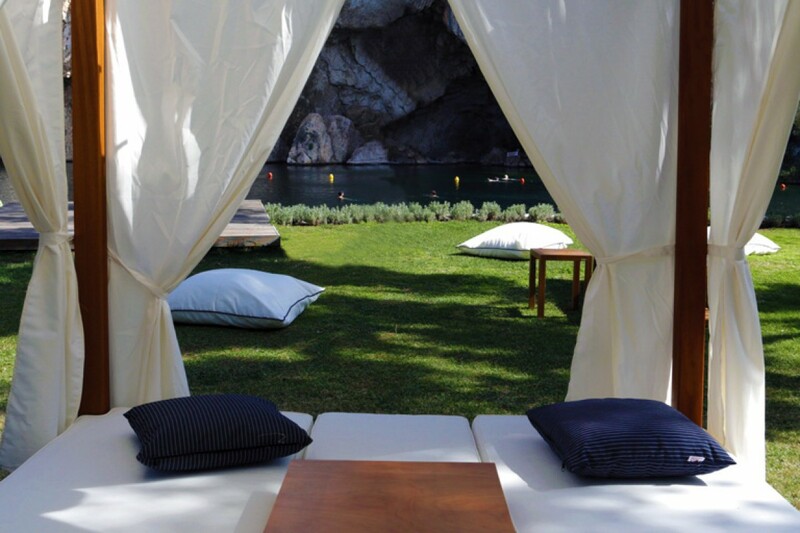 In Vouliagmeni Lake, the sense of luxury takes on a new meaning with areas planned especially to offer a feeling of privacy and exclusivity. Isolate yourself and enjoy moments of relaxation in a specially designed “Prive Area” which has comfortable sunbeds and deck chairs, private service, a variety of delicious menus and special cocktails. The space is designed to provide exclusive services to individual guests and small groups of visitors.